Even if you’re not sure who Sir Peter Blake is, you’ll recognize why he’s famous. The British pop artist is the designer behind the album art for the Beatles’ Sgt. Pepper’s Lonely Hearts Club Band, and in preparation for his upcoming 80th birthday this June, he just completed a “remix” of the iconic cover — filled with his own favorite people, himself included (via the Guardian). Of course, as Blake tells the BBC, the process of making complex album artwork has become significantly fancier since 1967, when Sgt. Pepper was released (coincidentally, the record celebrates its own milestone — its 45th anniversary — June 1) — in a word, Photoshop. While the Fab Four and crew were cut-outs glued to plywood before being transferred to the album cover, in the new version Blake and his family and friends were cut, copied, and pasted almost instantly. 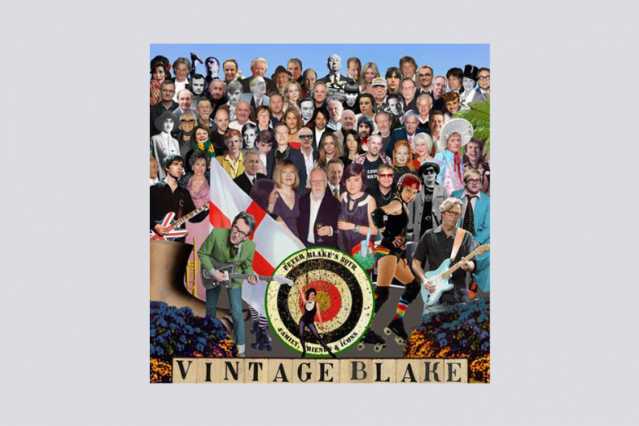 Others on the re-imagined cover include a bunch of Blake’s fellow knightees, like Sir Elton John, Dame Vivien Westwood and Dame Helen Mirren, as well as Amy Winehouse, Ian Curtis, J.K. Rowling, and other British celebrities. Even Paul McCartney makes an (albeit rather smaller than the original Sgt. Pepper) appearance, as does the giant foot from Monty Python’s Flying Circus’s opening credits (!). Watch a video of Blake explaining how his techniques have changed over the years over at BBC’s site, and check out exactly who made Blake’s cut with the Guardian’s gnarly interactive map of the cover.